It’s finally time for beaches and barbeques. Summer is here in full swing and it’s time to get outside and enjoy the weather. Here is a list of our owner, Scott’s favorite things about the hottest season. 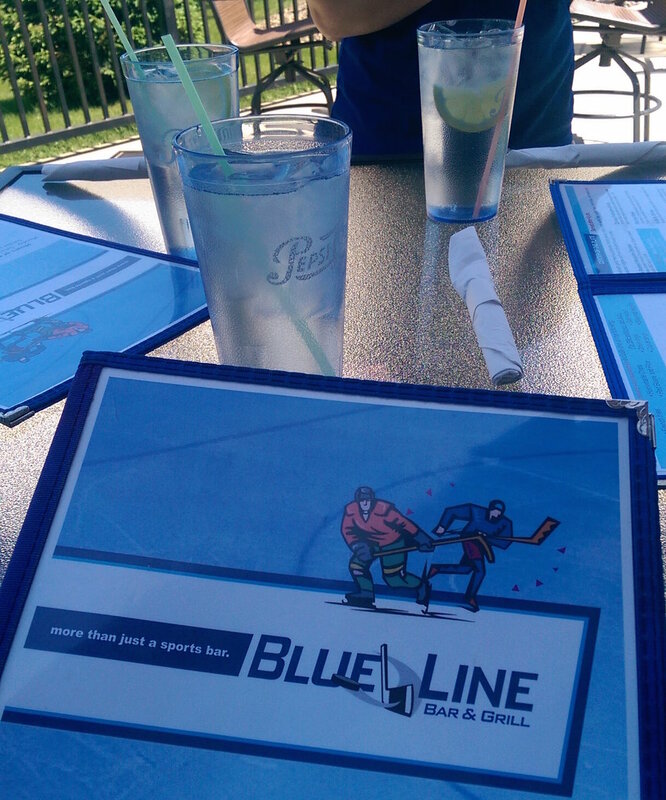 Cool down this summer with your favorite domestic taps or by trying something new at The Blue Line. Few things will put you in the summer mood more than cracking a beer. There’s no better way to tee up summer than by hitting the green. If your shot is spot on or even a little rusty, it’s a great way to get away—even for a few hours. Charming and stylish, they are the George Clooney of shorts. You can wear them to a picnic or while mowing the lawn. Why wear anything else? The weather might be short-lived, but the memories you make with your loved ones will last a lifetime. Get out on the boat together, make s’mores around the campfire, go on a long bike ride - however you and your family like to spend time together, summer gives you plenty of opportunities. Start working toward your ideal beach bod by eating a Summer Salad from The Blue Line. Our BLT, Red Line, and Asian Salads are delicious and a perfect pairing for the summer heat. Your kids may hate it – your wife might, too – but don’t knock it till you try it. Speedos are surprisingly comfortable. It’s hot out—let those puppies breath. Dads around the globe will agree. Any footwear that doesn’t slip on should stay in the store. Socks are optional. It’s time to get the rookies up to speed and the Pack fine-tuned before the first kick off of fall. We have a feeling about this season. No one will remember the so-called “Minneapolis Miracle” when Green Bay brings home Super Bowl number 5. They are the best place to take a nap, read a book, or pretend to be an emerging butterfly. Hammocks are a summer essential. Top off a great weekend at the cabin by taking another lap around the lake for the heck of it. Why not? You’re on cabin time. Beer, sports, and great food. The Blue Line is even more like summer than the smell of Chlorine. The season won’t be complete until you stop by. And THAT is how Scott does summer. We hope you make the most of the weather and have some fun in the sun. Did we miss a quintessential part of summer? Let us know in the comments below or take it up with Scott in person at The Blue Line.